Fourth focus: When July Fourth falls on a Tuesday, as it does this year, Hollywood has a five day period in which to generate boxoffice fireworks. Two variables play a part in how good the outcome is. The weather, particularly on the East Coast and in the Midwest, is always a key factor on the Fourth. If it rains, that's great for moviegoing because it keeps people away from the beach, pool parties, picnics, parades, fireworks displays and other outdoor activities. A trip to a nearby multiplex becomes the perfect alternative in bad weather. The other important element impacting on July Fourth ticket sales is what's playing. If Hollywood puts the right kind of films in the holiday marketplace, the results can dazzle. It's the kind of holiday that's very receptive to event films that can play to the whole family. While we don't know yet how good or bad the weather will be around the country Tuesday, it's already clear that the boxoffice temperature isn't nearly as hot as Hollywood would like. Universal and Illumination Entertainment's PG rated 3D action adventure "Despicable Me 3," which opened Friday at 4,529 theatres, topped the weekend chart with $75.4 million. It reportedly cost in the high $70 millions to produce. Hollywood handicappers, who had thought $85 million for three days was likely, now think its five day gross (through July Fourth) will be in the high $80 millions. "Despicable Me 2" opened Wed., July 3, 2013 to $83.5 million and did $368.1 million in domestic theatres. In international release, comScore senior media analyst Paul Dergarabedian said Sunday morning, "DM3" took in "an estimated $95.6 million in 52 territories for an early total of $116.9 million. Combined with the U.S. and Canada No. 1 opening of $75.4 million, the worldwide total is $192.3 million." 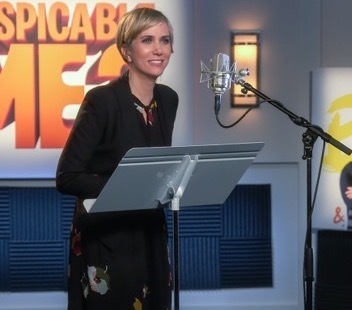 Directed by Kyle Balda ("Minions") & Pierre Coffin ("Despicable Me 2," "Minions"), "DM3's" voice stars include: Kristen Wiig, Jenny Slate and Steve Carell. Its Rotten Tomatoes score is just an okay 63 percent fresh, but that's still much better than most other franchise episodes have done this summer. "DM3's" the third episode in a franchise going back to 2010 that also includes the 2015 spinoff "Minions." A spinoff sequel, "Minions 2," is scheduled to open July 3, 2020. Together, the first three related episodes have done $955.6 million domestically. NOTES: "DM" was the seventh biggest grossing domestic film of 2010. The film was originally going to be called "Evil Me." The Minions were originally going to be taller, but keeping them all very short saved production animation money. "DM" didn't get any Oscar noms, but it was a Golden Globes nominee for best animated film. "DM" ranks 19th on the list of all-time domestic top grossing computer animated films. 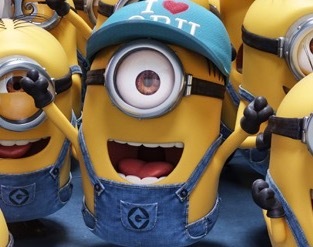 (2) TITLE: "Despicable Me 2"
OPENING WEEKEND (# THEATRES): $83.5 million (3,997) with a five day cume of $143.1 million. NOTES: "DM2" was 2013's fourth biggest grossing domestic film. 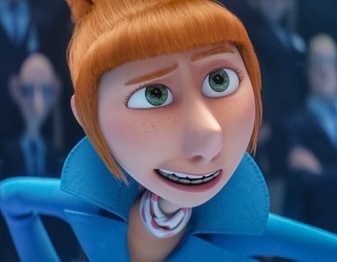 Kristen Wiig voiced a small role (Miss Hattie) in the original "DM," but returned to voice a key role in the sequel (Lucy Wilde). The character Eduardo was originally going to be voiced by Al Pacino, who reportedly recorded his lines, but then left the project. Benjamin Bratt took over the role. "DM2" received Oscar nominations in 2014 for best animated feature and best song ("Happy"). It also was a Golden Globes nominee for best animated film. "DM2" ranks seventh on the list of all-time domestic top grossing computer animated films. NOTES: "Minions" was 2015's sixth biggest grossing domestic film. "Minions" didn't score any Oscar or Golden Globes noms, but it did receive a British Academy BAFTA nod for best animated film. "Minions" ranks tenth on the list of all-time domestic top grossing computer animated films. Although "DM3" dominated the pre-July Fourth weekend, it didn't have the holiday marketplace entirely to itself. Sony Pictures Entertainment and Media Rights Capital and Working Title Films' R rated action crime film "Baby Driver" opened Wednesday (6/28) at 3,226 theatres. It finished a strong second for the weekend with $21 million. Its five day domestic cume is $30 million. Directed by Edgar Wright ("The World's End"), it stars Ansel Elgort, Jon Bernthal and Jon Hamm. Its 97 percent Certified Fresh rating on Rotten Tomatoes had to have been very helpful in attracting moviegoers. Warner Bros., New Line Cinema and Village Roadshow Pictures' R rated comedy "The House" opened Friday at 3,134 theatres and finished sixth for the weekend with $9 million. Its RT score is a dismal 16 percent rotten. Directed by first time feature director Andrew Jay Cohen, it stars Will Ferrell, Amy Poehler and Ryan Simpkins. Bottom line: Last weekend's domestic ticket sales were about $175 million, per comScore, down 8.3 percent vs. $190.8 million a year earlier when "Finding Dory" was number one in its third weekend with $41.8 million for the three day weekend (July 1-3) and $51.4 million for four days (July 1-4). Its domestic cume was $381.8 million. The domestic boxoffice to date this year is $5.742 billion, according to comScore, up only 0.3 percent vs. $5.727 billion this time last year. This weekend will bring another high profile event film into the marketplace -- Columbia, Marvel Studios and Pascal Pictures' PG-13 rated 3D sci-fi action adventure "Spider-Man: Homecoming" at about 4,000 theatres. Its 94 percent fresh RT score should help it attract moviegoers. "Homecoming" is the sixth episode and second reboot of the modern day Spidey franchise that began in 2002. The franchise's first five titles did $1.6 billion domestically. Directed by Jon Watts ("Cop Car") it stars Chris Evans (as Captain America), Tom Holland (as Peter Parker and Spider-Man), Marisa Tomei (as Aunt May) and Robert Downey Jr. (as Tony Stark and Iron Man).